My Little Pony meets Candy Fairies in this first book in a chapter book series from Canterwood Crest author Jessica Burkhart! 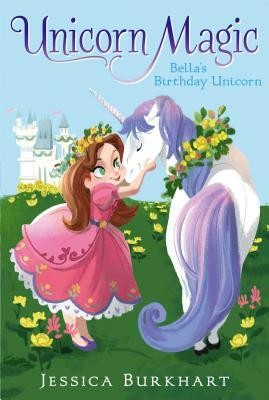 In the magical Crystal Kingdom, being eight years old is a big deal for a royal prince or princess -- it's the birthday where you get a unicorn, who becomes your friend and guardian for life. But it looks like Princess Bella's birthday might not be so sweet. Her BFFs are fighting, her parents seem to be hiding something, and Bella is worried she won't get matched with a unicorn of her very own. Will Bella's eighth birthday be a sparkling success? Or will it end up being memorable for all the wrong reasons?